I thought I would take some time and explain what the Top Pack is and some history for those unfamiliar with this category of Front Loaders. 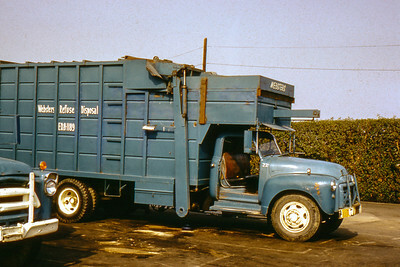 Top Pack's were one of the first style of compactor Front Loaders to emerge after Vince Bowles and Phil Gentile built the first Non-Compaction/Open Top Front Loader in 1952. 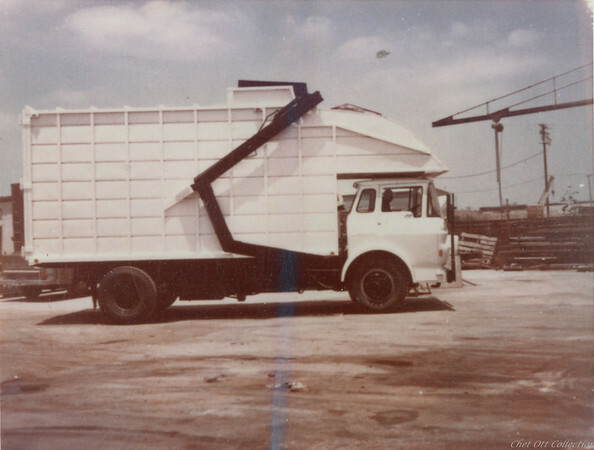 Invented by Pico Body in the mid-50's, this was the only style of Front Loader they made. It is not known at this time how long they remained in business, but it seems they didn't last long into the 1960's. This truck is an excellent example of an easy modification hauler made to their old non-compaction bodies to keep their investments relevant. 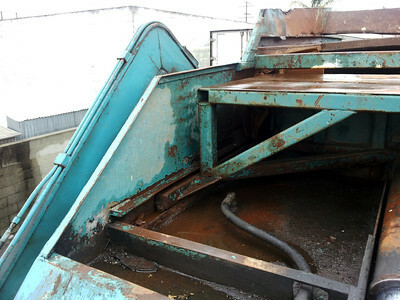 A simple and cheap design, it comprised of a thick sheet of metal which was fitted into guide tracks at the upper front portion of the hopper. 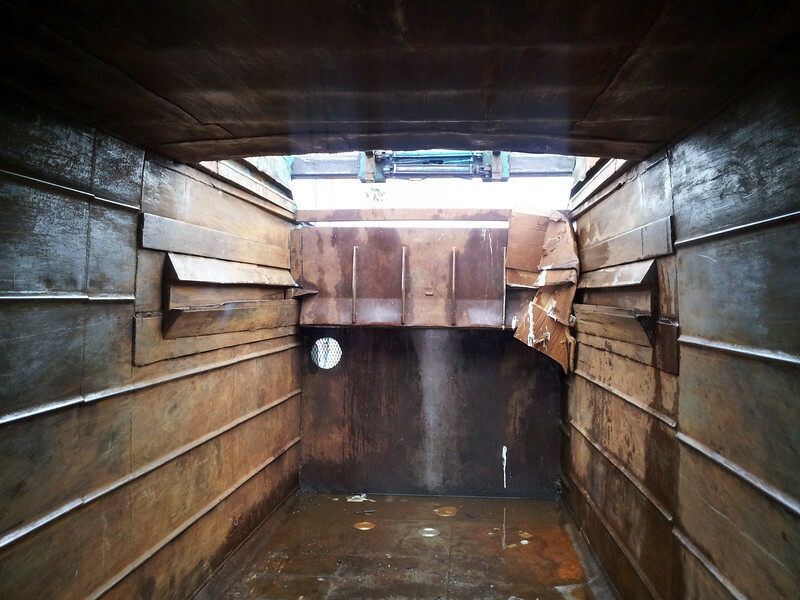 It was actuated by a single hydraulic cylinder that sat on the cab shield. Many early non-compaction Front Loaders were given this modification after the advent of packer bodies in order to keep them relevant for the hauler. 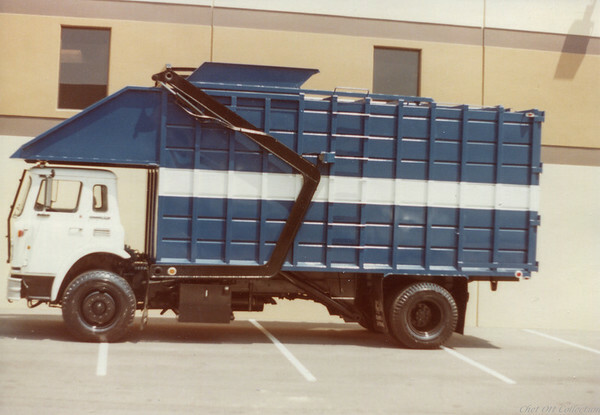 Excellent for Residential, Cardboard/Recycling, and light Trash routes; the short packer continually cycled the top portion of the material dumped in the hopper toward the back of the body. 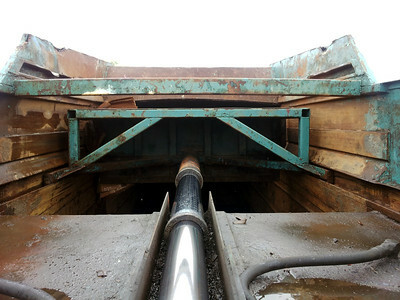 As it filled up, this caused the load to turn over in the hopper area which increased the compaction ratio giving the truck better weight distribution over the axles. Half/Partial Pack and Full Pack trucks rely on pure compaction force which causes the load to turn over at the back of the body. This puts major pressure on the tailgate and the majority of the truck weight over the rear axles. A key feature of the Top Pack is a lightweight body: 1,500-2,000lbs lighter than a Partial Pack. 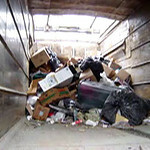 A clean out door is not required because the driver doesn't need to worry about trash getting behind the blade. If it gets on the cab shield, he just hoist's the body up and runs the packer back a foot or so and the trash falls back into the hopper. 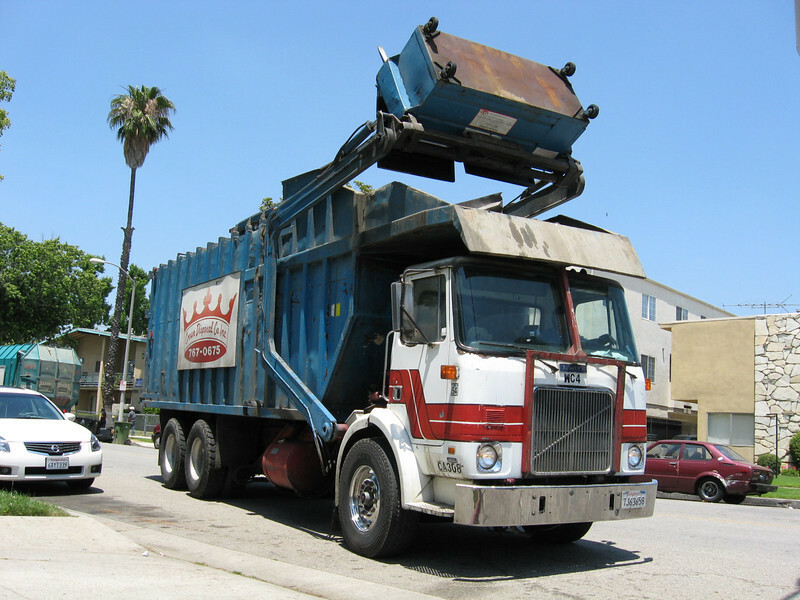 The drawback to Top and Partial Pack trucks is the hoist-to-dump feature required to empty the load. 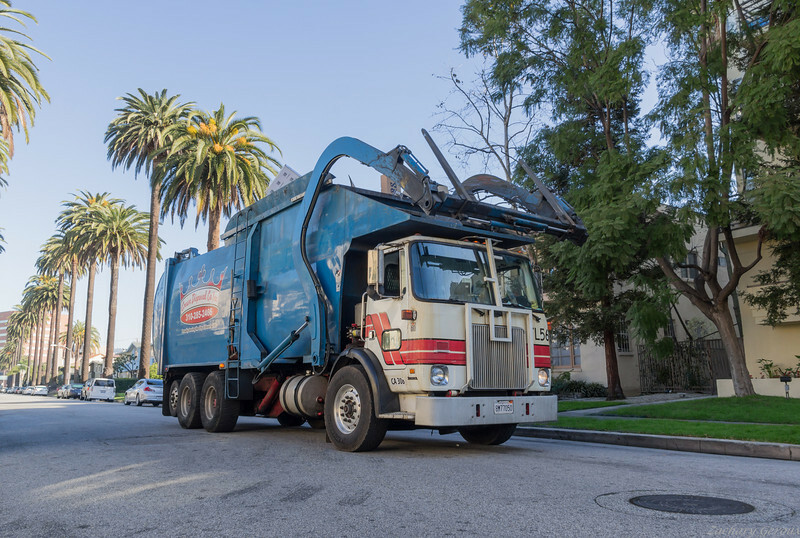 In the LA area, most companies took their trash to a landfill, which was always uneven and sometimes treacherous during rain and adverse weather. Drivers would often overload their trucks and when they lifted the over-weight bodies containing 7-12 tons of garbage, the trucks would tip over causing extreme damage . 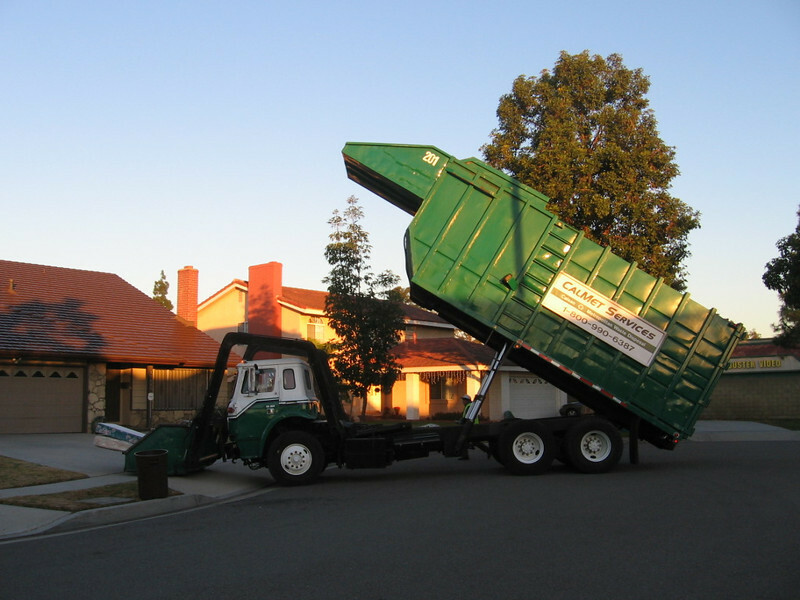 Some accidents of this nature resulted in driver fatalities and truck tip-overs are the most common type of accident to happen at landfills. Top Pack's saw popular use from the mid-50's up until the mid-80's, offered my most body manufacturers in the LA area. They never really made it outside of Southern California even though several C&O/Dempster literature pieces suggest it was offered nationwide. 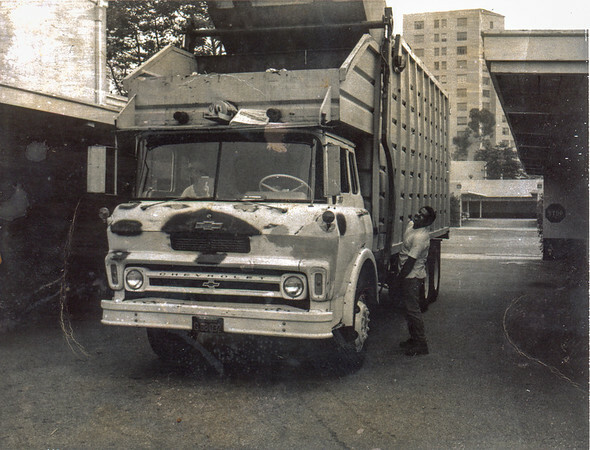 Once the big waste companies started moving into the Southern California market in the mid-70's, they brought with them their East Coast style and philosophy. Because of this, we saw a decline in the purchase of new Top Packs in favor of Full and Partial Packs and by 1990, there were no manufacturers offering this style in their literature. 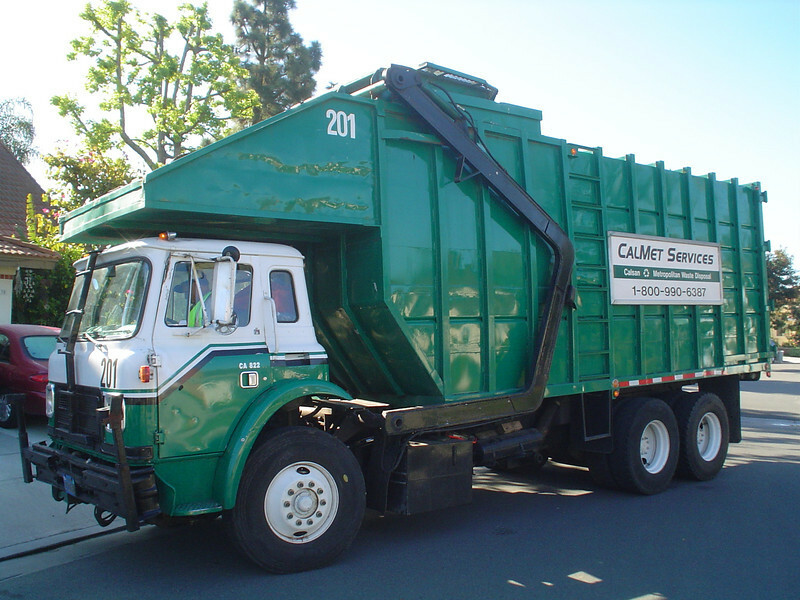 Now a rare and almost extinct style of Front Loader, there is only one company left in LA that buy's new ones. Crown Disposal in Sun Valley has to special order them from Bridgeport Refuse Bodies in Texas. Bridgeport was started by the Kouri family, who was one of the three owners of Bemars Inc.